They're only looking out for our best interests. Every year the National Highway Traffic Safety Administration spends cubic hectares of cash researching the nation's highways and byways to determine what the speed limit should be on a given stretch of asphalt. We ignore the research and go faster anyway. We know it's wrong, and we know there can be very real penalties. That doesn't stop us. Thanks to the hard work of scientists, doctor-types and the government, nutritional information is printed on just about everything you can buy in a convenience store. A granola bar and some bottled water costs about two bucks and is unlikely to kill you, but that doesn't stop us from heading straight for the soda machine and the chocolate-covered donuts. Have we no sense? This research exists for our benefit and the friendly advice is plainly labeled, yet we ignore it. Heck, us car freaks don't even listen to our own advice. Through the years, automotive "experts" have railed against certain car models. These poor cars were labeled as too complicated, too modern, too heavy, too slow, too fragile or just plain too dangerous. Run away and hide, the voices sang, as they're just not worth the cash and associated heartache. Yet we still buy them anyway. There are many ways for a car to fall out of favor with its intended audience. Some new models meet resistance right out of the box simply because they replace an already beloved car. Sometimes a new design is deemed too radical a departure from the norm, either aesthetically or mechanically. Others are critically acclaimed from the start, but become auto mobil non grata when their reliability woes or maintenance costs prove to be abnormally high. We're not sociopaths, but we do derive a certain amount of pleasure from breaking the rules and defying advice from time to time. So we decided to sample for ourselves several of these supposedly cursed cars. We rounded up a few of these automotive outcasts--and their owners--and took a test drive through our Central Florida back roads. We also checked out how these cars behaved at the limit at the Ocala Gran Prix, a kart track located near the Central Florida city of Ocala. For each of the cars in this lineup, there exists a large group of intelligent people who are eager to dissuade you from any crazy thoughts of ownership. In many cases, their arguments against these cars are completely valid, and no one is going to think less of you if you side with the naysayers. Then again, James Dean wouldn't have been nearly as cool if "Rebel Without a Cause" had been titled "Nice Boy Who Listens to Authority Figures." Perhaps a little automotive rebelliousness is good for the soul. Chevrolet Corvair: The Most Infamous Car Ever? When the Chevrolet Corvair debuted on Oct. 2, 1959, it sent ripples of excitement through the American motoring public. The General had released something completely different, a unibody compact American sedan with a rear-mounted, air-cooled, flat-six engine that could still seat six adults and handled, theoretically, with aplomb. Well, everything works in theory. In their November 1959 review, Road & Track went so far as to say, "It definitely understeers at all times," and, "the understeer is less than usual and the car is much easier to 'hold' in a high-speed bend." The magazine's editors tempered this statement by differentiating between handling and a loss of control. Good thing they did, too, because with 62 percent of the weight on its rear wheels, GM's new import-fighter predictably went tail-out under extreme loss-of-traction conditions. Unfortunately, loss of traction wasn't that hard to achieve, and the line between understeer and oversteer was crossed quickly, and with little warning. In the early cars, the tail-out problem was compounded by the lack of anti-roll bars--the result of GM cost-cutting the engineers' original design--and by widely misunderstood tire inflation requirements. The specification called for 15 psi in the lightly loaded front and 26 psi in the heavy rear, and many considered the tolerance range to be unreasonably narrow before the handling went wonky. Despite the potential for tragedy, that original 1960 Corvair was very well received after launch. Although strong on design, the first models were hampered by an uninspiring 80 horsepower engine paired with a three-speed manual transmission that had tall economy-oriented gearing. Sixty miles an hour came in about 20 seconds in this configuration, hardly soon enough to quicken the pulse. Chevy moved quickly to improve things with the introduction of the Monza model in mid-1960. The Corvair Monzas had more sporting four-speed transmissions, deluxe interiors and 15 more horsepower thanks to a displacement increase of 5 cubic inches and higher compression. Right out of the gate, the Monza outsold all other variants of the Corvair and would continue to do so through two generations and 10 years of production. In 1962, the line expanded further to include a convertible version as well as the somewhat confusingly named Monza Spyder, which in most manufacturers' naming schemes would have described the convertible, but in the Corvair's case signaled the addition of a turbocharger regardless of the roof configuration. Packing 150 horsepower as a result of the boost, the Spyders benefitted from other enhancements including a larger oil cooler, chrome trim on the engine and neat emblems. The Corvair Spyder broke new ground as the first mass-produced turbocharged car. The 1964 model was a pivotal year for the Corvair, as a single leaf spring was added, connecting the rear lower suspension elements to the bottom of the differential. This suspension change helped prevent the "tuck in" oversteer phenomenon common to the earlier cars. The second-generation cars--released for 1965--got an upgrade to a near-Corvette-like rear suspension that was more predictable still. At the end of the line, around 1.8 million Corvairs had left the assembly line between 1959 and 1969, hardly a failure for Chevrolet. Of course, no mention of the little Corvair is complete without talking about its perceived arch-nemesis, Darth Nader. Even though it wasn't really the focus of the book, the Corvair became the poster child for Ralph Nader's 1965 "Unsafe at any Speed." The problems Nader cited on the Corvair had been mostly corrected by the time the book was published, but the tidal wave of drama and bad press that it generated became the stuff of legend, eclipsing the car's popularity. "Only drive a Corvair if you want to get maimed," some experts have said since then. Looking back, however, it's possible that the naysayers' plan has backfired. The Corvair's notoriety was so great that, if anything, it has now helped to add to the collectibility and desirability of the early cars. With extremely light steering and that notorious tendency to oversteer, the Corvair Monza Spyder is quite a lot of fun on a tight road course. The turbo spools quickly and provides a healthy dose of torque at full throttle, and while it's no supercar, it hustles eagerly out of corners. Aided by the weight on the rear axle, braking feels better than on many other cars of the era; it's no wonder the Corvair earned the title of the poor man's Porsche. Troubled by myriad problems, MG was in no real position to create a car for the times in the mid-1970s. So they stuck with what they had, continuing to update their trusty MGB in reaction to the seemingly endless stream of regulations coming from our side of the pond. The trouble was, by car standards the MGB was already fairly dated when it hit the 10-year mark in 1972. The tried-and-true Brit had received several modifications to the powertrain and interior to help it meet increasingly strict emissions and safety requirements, but few if any enthusiasts considered these modifications to be improvements. Unfortunately, the worst was yet to come. 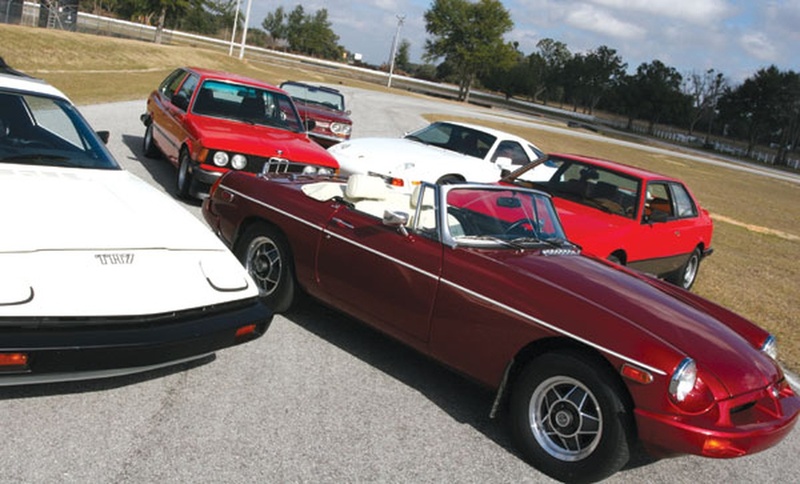 To keep selling in the U.S., the MGB would need to meet the new 5 mph impact standard. A rubber-like substance called Bayflex 90 would become one of the most hated materials ever used on a car. To meet the crash standard, British Leyland contracted with Marley Foam for a new polyurethane bumper. Much to the horror of those who loved the clean lines of the original MGB, both ends of the car were heavily redesigned to suit the new "rubber" bumpers, severely compromising the formerly elegant shape. The new bumpers became standard production items in September 1974. The change was made even more extreme by the fact that the bumpers were left black regardless of the paint color on the car, drawing excessive attention to the new nose and tail. With the MGB freshly wounded, salt was applied in the form of a ride height adjustment. To completely meet the front- and side-impact regulations, the MGB was lifted another 1 1/2 inches from the ground. Packing in the front suspension and an increase of rear-spring camber gave the MGB the required altitude, but destroyed the car's handling characteristics--think truck-like body roll--and did nothing to improve the newly awkward aesthetic package created by the new bumpers. Further still, the new arrangement added 70 pounds to the little MGB. As if all that weren't bad enough, the poor 1.8-liter inline four had reached the depressing nadir of its life cycle. 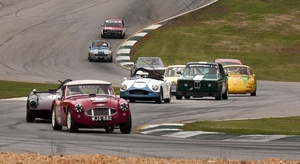 Gasping for air through a single Zenith-Stromberg carburetor that became standard at the start of 1975, the rubber-bumper MGB made a paltry 62.5 horsepower and needed more than 18 seconds to reach 60 mph. 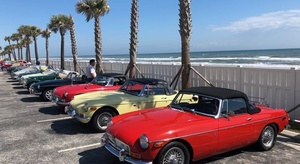 Still, the MGB soldiered on until 1980, just before the historic collapse of British Leyland, all the while adding to its tally as the most popular sports car of its era. This paints a bleak picture, but the rubber-bumper MGBs did find their share of buyers when new. In fact, the model had some of its best sales numbers after the exterior redo. However, while the car was a decent seller back in the day, interest in the rubber-bumper MGBs bottomed out during the '90s. At the time enthusiasts were advised to spend the time and money on a more classic, chrome bumper car, but things are now starting to turn around. For starters, today the rubber bumper cars can be had for a good deal less money than their earlier siblings, say $3500 to $10,000 for the rubber variety versus $8000 to $18,000 for a nice chrome car. 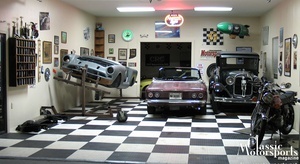 As time marches on, the rubber-bumpered cars are bound to grow in value, just as their more senior counterparts have done. If you're the tinkering sort, it's easy to modify the later model's drivetrain and body to conform to earlier specifications, meaning you're only stuck with 62.5 horsepower if you choose to leave the car stock. 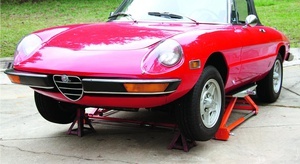 And bringing the suspension back to life by lowering the car is easily done, or you can look for a later rubber-bumper car equipped with anti-roll bars, a factory fix that did much to revive the handling. If you just can't take your eyes off those black rubber bumpers, you're not out of options yet. For less than $800, Moss Motors will happily sell you a kit that includes all the components and instructions needed to convert to chrome bumpers front and rear, although it requires some welding and bodywork. Not that we're saying that chrome is the only way to get an attractive rubber-bumper MGB. At our photo shoot, Scott Keating's beautiful red MGB opened our eyes to the strikingly modern look that can be achieved by simply color-matching the bumpers to the car. This is standard practice on new cars today, and if British Leyland had taken this step back in 1974 the world might not have had such an allergic reaction to Bayflex 90. Thanks to its twin 1974-spec SU carburetors, Scott Keating's 1977 MGB is a bit quicker than stock, but not dramatically so. This MGB understeers very heavily--a different alignment would have helped here, as this car is set up for comfortable cruising and not performance--and the open differential prevents any tail-out shenanigans on corner entry or exit. Still, the MGB is fun to muscle around corners in any form, but the emphasis is on muscle with the heavy stock steering. Triumph owners are renowned, on the whole, for their reluctance to accept change. For nearly a quarter of a century, from TR2 through TR6, Triumph followed a path of evolution instead of revolution. And each evolution of the Triumph marque met with resistance, despite each TR's many similarities to the model it replaced. Each time the manufacturer changed something, it was like poking the beehive of Triumph owners with a stick. But when they debuted the TR7 in 1974, they dropped the stick and went after the beehive at full whomp with a baseball bat. Almost everything about the TR7 was a departure for Triumph. It featured a unibody design, a closed roof, futuristic wedge styling and a variety of modern build materials, including one of the first mass-produced plastic dashboards. This radical new look was a hard pill to swallow for those who thought the TR6 was too much of a departure from the TR250. On the mechanical side of things, the TR6's famed straight-six had been replaced by a less powerful 90-horsepower, 2-liter four cylinder, resulting in slower zero-to-60 times and a lower top speed. In the early TR7s, this engine was mated to a universally unloved four-speed manual transmission with a too-tall first gear. And the TR7 came equipped with a live rear axle in contrast to the TR6's fully independent suspension. While scores of enthusiasts loathed the changes--no chrome, no classic lines and no soul, they cried--the TR7 was in many ways the best car that Triumph had ever produced. The unibody structure was far more rigid than any Triumph before it, giving the suspension a good structure to work on and making the TR7 remarkably quiet and rattle-free. Also, the heater and air conditioner (when equipped) worked very well, giving the TR7 true all-weather drivability. Even though the TR7 had a live rear axle, it was widely agreed to be a superior setup to the TR6's less-than-stellar independent arrangement. Handling was praised by U.S. automotive magazines, both from a performance standpoint and as a highway cruiser. 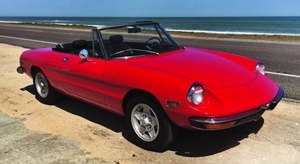 A convertible version was added for 1978 along with a five-speed transmission, bringing a few more skeptics into the fold. (Of course, the open-top TR7s lacked the rigidity of their stiff-roofed counterparts.) The rear axles were also upgraded at this time, and a more modern fuse panel helped banish electrical gremlins. For 1980-'81, a V8-powered version of the car was officially on sale as the TR8, but fewer than 2500 of these were built, and with power and exclusivity on its side the TR8 is hard to consider a car to avoid. While the TR7 met with much resistance in the outside world, the conditions under which it was produced didn't help matters. At first British Leyland assigned production of the TR7 to their new Speke plant, but regular strikes made for spotty build quality at best and erratic production. Many of the early cars suffered from bad head gaskets, something that could--and did--stop many of them in their tracks. British Leyland closed the Speke plant in 1978, and the TR7 was moved to their Canley plant. The move took six months, leaving a big hole in production. Two years later, manufacturing was again moved, this time to Solihull, where it would continue until the end of the production run in October 1981. All told, approximately 112,000 TR7s were produced. As luck would have it, we ended up with two five-speed 1977 Triumph TR7s for our day of driving and photography. This served to highlight the differences that can exist between identical cars when nearly three decades separate them from their point of origin. We drove Gordon Hill's Carmine Red TR7 first. The steering was surprisingly heavy, although the car would change direction eagerly and even wanted to rotate coming out of corners, aided by the polyurethane bushings that have been installed on the rear of this car. The interior had plenty of room and comfortable seats, and even after so many years the structural rigidity was still impressive. Although it ran out of steam up high, the engine felt decent if not quite inspiring, but the brakes were a bit weak for our tastes even with Goodridge stainless steel lines and EBC Greenstuff brake pads up front. Gordon's car wears OEM-sized 175/70R13 Uniroyal tires. Barry Logan's white TR7 wears stickier 205/60R13 Falken tires on 13x5.5-inch TR8 wheels and has a smaller diameter steering wheel, but still had significantly lighter steering than the red TR7. Barry attributed this to a needle bearing strut pivot kit he installed to help reduce steering effort. Thanks to this simple mod, the white TR7 was much easier to drive, and the grippier tires accentuated the TR7's good basic handling behavior. 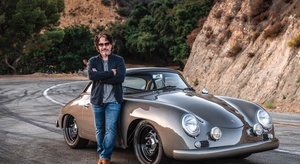 Like the TR7, the Porsche 928 met with some resistance when it first debuted. When the car was unveiled at Geneva in March 1977, many dedicated Porschephiles believed that an air-cooled engine hanging over the rear axle was the only proper way to motivate a sports car; they saw the water-cooled V8 in the nose of the Porsche 928 as an insult to the brand. The fact that buyers could order their 928 with a three-speed automatic transmission was considered further evidence of its impure design. However, unlike the Triumph TR7, the Porsche 928 wasn't a replacement for anything, so the purists didn't have much of an argument. If you wanted an air-cooled and tail-heavy 911, all you needed was a healthy bank account and the means to get to a Porsche dealership. The 928 was targeted at the grand touring market, and it is unlikely that someone who had their heart set on a 911 would have even considered a 928 or vice-versa. That first Porsche 928 was a good thing, and over nearly two decades the brains at Weissach kept changing things for the better. 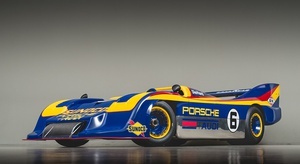 The 1978-'82 cars had 219 horsepower from 4.5 liters and weighed about 3400 pounds, and could be driven off the lot for $26,400. Power grew as the years accumulated, first with a bump to 4644cc and 234 horses in the 1983 928S and then to a solid 5 liters in 1985 with a corresponding boost to 288 ponies. 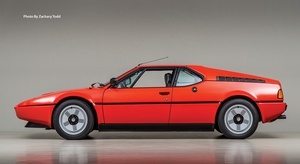 By 1987 the 928S4 was packing 316 horses and weighed just 125 pounds more than the earliest cars. For the final three years--1993-'95--a 928 GTS was available with 5.4 liters of displacement and 345 horsepower, and it would set you back a bit more than $80,000. Each evolution of the 928 was more refined, and in the later years it was one of the top-five fastest cars in the world, in the company of supercars like the Ferrari Testarossa, Lamborghini Countach and Porsche 911 Turbo. So what makes this a potential car to avoid? The 928's woes today stem mostly from the curse of the previous owner. Like most Porsches, 928s cost a bit of coin when new, but after a few years and a few miles, the value dropped dramatically. (Valued by the factory at about $60,000 new, a late-1980s 928S4 can be had today for around $12,000.) Sadly, when the prices drop, the people who snap up these cars don't always perform the fairly expensive required maintenance. Regular maintenance on a 928 can cost as much as $3000 per year, and it shouldn't surprise anyone that major components with the Porsche logo aren't usually stocked on the shelves at Wal-Mart. As a result, many of these cars have been neglected in the used market. Potential buyers are advised to buy the best example you can afford, and keep some room in that budget for future repairs. If you're looking for a taste of supercar performance that's comparatively reliable, the Porsche 928 is a good way to go. As the luxury flagship for one of the world's most renowned sports car manufacturers, the 928 was bristling with the most advanced technology available, and it makes a great high-speed cruiser or carves corners with aplomb. Just make sure that you're not buying an example that's jam-packed with broken and neglected automotive technology; that's the most expensive kind of all. The all-aluminum V8 on this early 928S4 has a glorious sound, one that urges you dip the throttle even when you don't really need the extra speed. It's sound and fury, propelling the big car with authority. The stock suspension is surprisingly tight for a car as heavy as the 928, and the brakes are exceptional, as you'd expect from anything wearing the Porsche badge. The seating position is dramatically reclined, adding to the exotic-car feel. Automatic transmissions are rarely our cup of tea, but with so much torque you don't feel like you're missing out on much. Getting the car to downshift back to first gear on this four-speed transmission requires a full stop, which is frustrating on a tight course like our test track. This particular car was in nearly perfect condition, so our experience wasn't spoiled at all by a lack of maintenance. This would be a great car for gobbling up great distances in speed and style. The BMW 2002--particularly the powerful fuel-injected tii model--left some pretty big shoes for BMW to fill after its 1968-'76 model run. The 2002 had added the term "sports sedan" to nearly every enthusiast's lexicon, and proved that you could have a practical rear seat and a trunk, yet still have a heck of a lot of fun behind the wheel. The first BMW 3 Series that would follow had a tough act to beat. 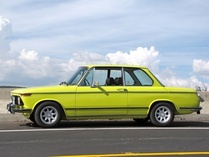 First sold in the States in 1976 as a 1977 model, the fuel-injected BMW 320i was a logical evolution of the 2002. It was designed with a similar overall shape, although it had been enlarged slightly in most directions; BMW used that space to increase passenger and storage room. The car was powered by an injected version of the same 2-liter block that powered the 2002, but the 320i used an emissions-tuned Bosch K-Jetronic system that was down on power compared to the 2002tii, with 110 horsepower and 112 lb.-ft. of torque. The new 320i sold for around $8000 for a no-options car (vs. $6500 for the final 2002s) and weighed 2600 pounds, which was about 200 more than the car it replaced. While many people now encourage potential buyers to shy away from the 320i and consider a 2002 a much stronger investment and a better car, if you're looking for a similar vintage BMW experience for a real bargain, the 320i isn't a bad choice at all. Nice examples of the 320i currently sell in the $2000 to $4000 range, versus $10,000 to $15,000 for a 2002tii. This one isn't on our list because it's a problem-prone car. Actually, the fine folks at Bayerische Motoren Werke got the 320i just about right out of the box. There were complaints about the handling in the earliest cars, so in 1978 BMW tweaked the suspension slightly. Changes included a 23mm front anti-roll bar in place of a 22mm unit, 10-percent stiffer front springs and a removal of the rear anti-roll bar. In 1980, displacement dropped to 1766cc and horsepower to 101. The car remained in production until the 1983 model year. If you're willing to live in the shadow of the 2002, the BMW 320i will give you just about the same driving experience and practicality for less money, with a bit more luxury and space thrown into the mix with a dash less performance. Lots of options were available, so shop around and choose the car that suits you best. From the moment you sit down, you realize that the 320i is a BMW through and through. It's not terribly fast, but it's a heck of a lot of fun to drive on a tight course, and it communicates every nuance of its movement through the wheel and the seat of its driver's pants. We found the steering to be a touch on the heavy side thanks in part to the sticky 205/60R13 Falken tires on our test car, and the suspension was extra-crisp as a result of H&R sport springs and Bilstein dampers. Modifications like these are a great way to enhance an already enjoyable car. Compared to some of the more radical shapes in our test, the BMW is a bit plain, but it's easy to forget how fantastic the visibility and seating position are in a tall sedan when you've spent all day in wedges and low-slung GTs. Tired bushings meant the shifter in this 320i had lots of wiggle room, but it still found gears reliably and the fix would be an easy one. A limited-slip differential and the factory-option Recaro seats made this particular model a great enthusiast's car. Of all the cars in our test, this one is--on paper, anyway--the most wisely avoided. The Maserati Biturbo (pronounced bee-turbo) combines exotic-car complexity and frailty at a level that only the Italians can do with a glut of depreciation-spawned bad examples (like the 928) and the same break from tradition that plagued the TR7. Ralph Nader never had a chance to thrust the Biturbo into the negative spotlight, but in hindsight that just makes the Biturbo more obscure than the Corvair. Of course, sometimes a huge patch of warning signs just grabs your attention and won't let go. They must be hiding something good, right? Designed in the 1970s, Alejandro De Tomaso's main contribution to the Maserati marque was a mass-produced, small displacement car packing high horsepower through forced induction. In December of 1981, Maserati unveiled a simple, but attractive, three-box coupe with a twin-turbo V6 that pumped out 180 horsepower. 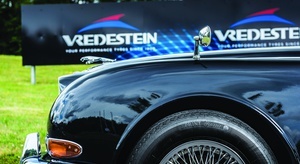 European models debuted with 2 liters of displacement, but the car was punched out to 2.5 liters for the U.S. market. The Biturbo was sold in the U.S. until 1991, and each year brought improvements as Maserati dialed in the suspension, upped the power and tried to stamp out the problem areas. Coupes, sedans, intercoolers, convertibles and model name changes are just some of the dots on the Biturbo's swerving timeline. Despite the company's best intentions to build a mass-produced car, there were so many changes in any given year that it's confusing to anyone but a dedicated fan with a photographic memory. See the April issue of our sister publication, Grassroots Motorsports, for a complete buyer's guide. The Biturbo's problem areas are abundant, particularly on the earliest cars. Oil leaks, overheating issues, weak non-water-cooled turbos on early cars, poor electrics (particularly the fuse block), easily cracked oil pans, fragile automatic transmissions, delicate early Salisbury differentials, sub-par interiors (again on the early cars), fickle electromechanical boost control (on the later cars), and the potential for rust scare off many shoppers. Their fears are not irrational. The early cars featured semi-trailing arms in the rear that caused toe changes in the alignment through their range, increasing the likelihood of snap-oversteer conditions. Running a carburetor and boost requires some fancy engineering, and in the case of the Biturbo the Weber carb is housed completely inside a large cast-aluminum plenum that is pressurized when the turbochargers spool. The complexities of running dual turbochargers and all the associated plumbing mean chasing down boost leaks in a Biturbo can be a full-time job. However, as many problems as a Biturbo can have, a car in good condition has far more virtues. All models had four-wheel disc brakes so the stopping is very strong, and these discs were vented in the case of the later cars. When running properly, the pressurized V6 is surprisingly potent and sings a beautiful song, and the sensation of boost is highly addictive. The handling is at least the equal of the BMW--a bit more temperamental, perhaps, but that just adds to the excitement. 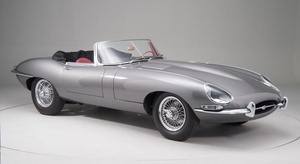 Many of the components that caused problems on early cars, from the fragile limited-slip differentials to the odd suspension geometry, were upgraded or corrected on the later Biturbos. In the final years, Maserati dropped the cheap interiors in favor of genuine wood panels and all-leather seats, and if the interior and exterior have been properly maintained you'll have trouble keeping your hands off the car. For the most part, we'd recommend the later cars, which have fewer trouble areas and by virtue of their shorter time on earth will be less likely to have rust. Early cars can be had for as little as $3000, but the Biturbo's potential as a giant money sucking hole is great, so wait until you find the absolute best model you feel comfortable buying. Many of these cars have been snapped up at minimal cost and slowly destroyed due to neglect. Shop carefully and don't consider purchasing one unless you're prepared to do the required maintenance. Later models in good condition go for around $10,000, which is still less than one-fifth of the as-new cost. The Maserati Biturbo bristles with potential danger--mostly to your wallet, thankfully--but it offers a striking and exotic experience for anyone willing to accept the challenge. And like other cars wearing the trident, it's bound to be worth something eventually, especially with so many Biturbos falling into disrepair. Even if you're not shopping for one, find the time to get behind the wheel someday and experience a very unusual and exhilarating automobile. This is a really fun car to drive at the limit. Our smallish test circuit was almost too confining for the long-legged Biturbo, thanks mostly to a tall second gear. It rolls a bit in the corners, but the handling balance is very neutral. With lots of torque at the ready once the turbos spool, it's easy to play catch with the car, sliding the tail out and countersteering to bring things back in line. When it comes time to slow things down, a surprisingly firm brake pedal inspires lots of confidence that is well-founded thanks to the four-wheel disc brakes. The interior of our test car was a bit tired, but it's obvious that in good repair the exotic touches would really stand out from other cars of the late 1970s and early '80s.